I love fruit in my desserts, so the idea of baked strawberry doughnuts for breakfast definitely appealed to me. 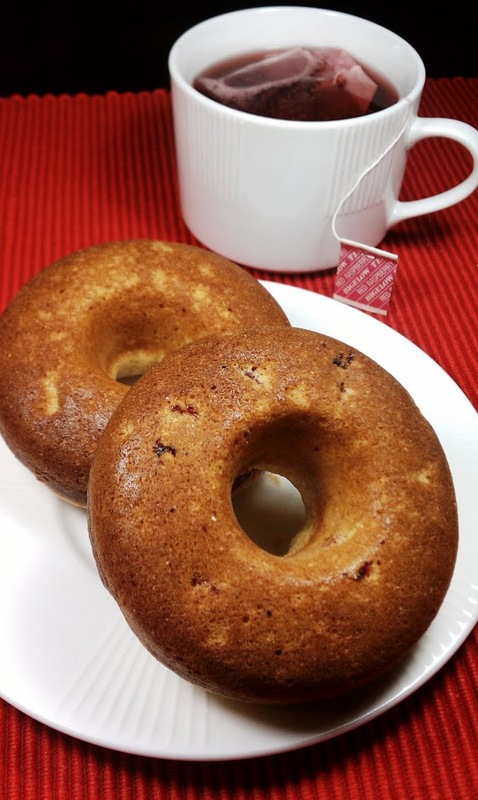 These doughnuts have more of a muffin consistency (fluffier, less dense) than the Baked Spice Doughnuts I tried previously, but they still made a tasty breakfast. I loved the juicy bites of strawberries in them. If you prefer your doughnuts super sweet, you may want to add a glaze to these, because they’re not overly sugary. I like them with just a hint of sweetness, but there are plenty of doughnut glaze recipes on the web if you do a search. I used agave nectar in place of the maple syrup in the original recipe simply because I had it on hand, and you could use either without affecting the points+ value. If you haven’t run out to buy a doughnut pan yet, I recommend it. These make an easy grab-and-go breakfast and everyone at work will be jealous when they see you eating doughnuts as part of your healthy lifestyle plan! Preheat the oven to 425. Lightly spray a doughnut pan with cooking spray and set aside. In a small bowl, combine strawberries and agave/maple syrup and set aside. In a large bowl, mix together flour, sugar, baking powder, cinnamon and salt. Add milk, egg and melted butter to the dry ingredients and mix until just combines. Stir in berry mixture. Fill each space (6) in your prepared doughnut pan about 2/3 full. Bake for 7-9 minutes. Let cool 5 minutes before removing from the pan. Sure! I would just use the same amount, 1/3 cup. Hope they turn out great! Thanks Emily..I think I am going to try them tomorrow. 🙂 Thank You so much! I will let you know! Just popped my batch in the oven!! We’re taking them to a family brunch today, I’m sure they’ll be a huge hit!! I do the WW points but my son counts calories. What’s the easiest way to figure calories when they’re not provided? I started calculating and including nutrition information for my recipes at the beginning of this year and I am working my way back through the older recipes to add it, but there are a lot to figure out! I use the free recipe builder at myfitnesspal.com to calculate the nutrition information, so if you’d like to know the calories before I get to this recipe, feel free to plug it in there! Thank you….your recipes are amazing!!!! 4 Point Doughnuts?!?!? I am soooo happy 😀 Thank you, thank you, thank you! This maybe a dumb question, but how can I make doughnuts without a doughnut pan? Is there another kitchen tool I can use? I also subbed the strawberry for apple. I grated the apple and doubled the cinnamon and used honey in place of syrup. Thanks for a great recipe! 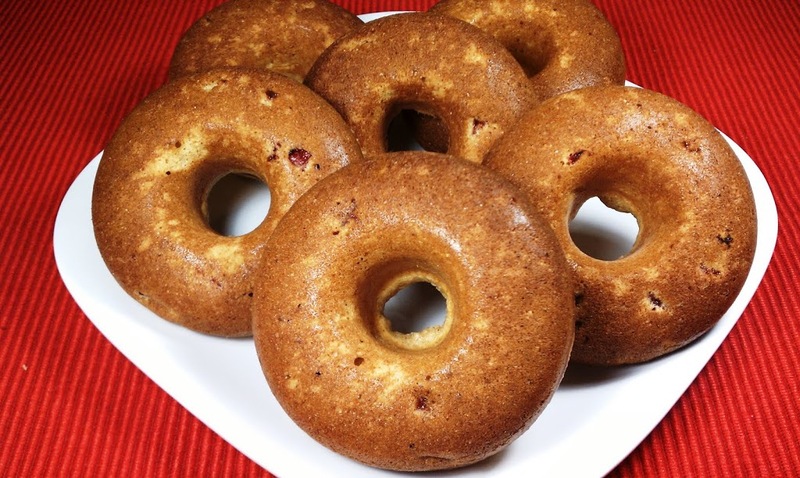 I wish to do make this recipe in doughnuts maker. I cant make? I may have overlooked it, but I’m assuming a serving is 1 donut, correct?